V/O's 30secs to 1min are $50 above that is more. I'm Nathan Tune and I will be providing voice over services through this site, thank you for your consideration. Voice over samples can be found on my website at (link hidden) on the V/O sample page. Price Range: V/O's 30secs to 1min are $50 above that is more. 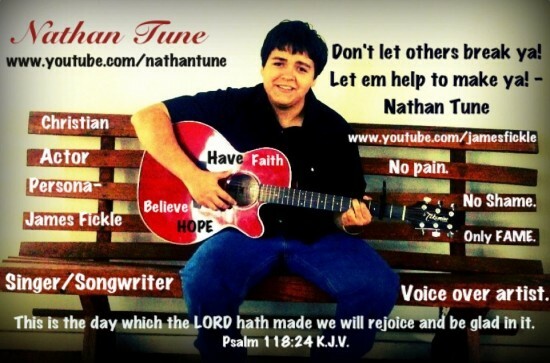 Nathan Tune Is a Christian,Actor,Singer/Songwriter,Voice Over Artist,Voice Actor,Minister,Impersonator and many more things to sum it up he's a multitalented Christian Entertainer. He has always loved acting and impersonating others, when he was younger he would always be imitating someone, impersonating someone, mimicking someones voice, making funny voices, funny faces and just being silly. Back then he knew his passion for acting, but it wasn't until he stepped into a small town community theatre that he truly knew acting is what he wanted to do. He continued to impersonate and imitate still to this day, but just recently in the year of 2011 late July, early August. He attended a two week acting course at KD College in Dallas Texas. Nathan says that now he has never been so sure in his whole life that acting is what he wants to do. But to say his passion is JUST acting, would be completely absurd. Yes his passion for acting is big, but it's not just that. He doesn't want to just act, Nathan Tune want's to do many other things as he's multitalented, he wishes to one day Direct, Write, and Produce his own films. As he is a published Author since he was thirteen. 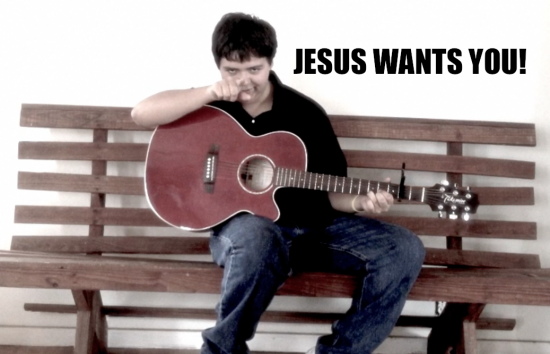 He also loves to play the Guitar, Mandolin, Piano and would like to learn some other instruments as well to add to his talent. The quote "No Pain, No Shame, Only Fame" comes from when Nathan was experiencing some difficult times in his life. He started to think about everything that was going on and decided he wasn't going to let his PAIN be his SHAME he is determined to make it his FAME. Therefore his quote. To learn more about Nathan Tune, like him on facebook, subscribe to his youtube channel and be sure to check out all his videos.